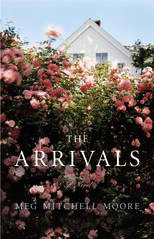 The Arrivals is a very intense, yet endearing read that feels like one huge anecdote. Once you're done, you'll feel refreshed and warm because it truly sheds light on how our lives transform once we have children. Once a parent, always a parent! Each Owen child experiences transformation of some type from June to August, while Ginny and William are strong, powerful examples of loving, understanding parents with extreme patience. Although I enjoyed my time reading The Arrivals and I finished it in under a day, I found it easily forgettable. The story is very touching, but the voices of the children lack individuality, therefore causing the novel as a whole to lack intimacy. The most powerful characters in the novel are Ginny and William, and perhaps The Arrivals would have been more impacting had Moore focused more on their inner workings and thoughts, specifically. The end result is a symphony of voices that more or less blend into each other. Meg Mitchell Moore's contemporary style reminds me a lot of Mary Alice Monroe and perhaps a little of Anita Shreve . I am sincerely looking forward to the author's next novel, which is due out sometime next year, 2012.